Precious Pages by Paula: HAVING FUN WITH JULIE NUTTING/PRIMA DOLLS! 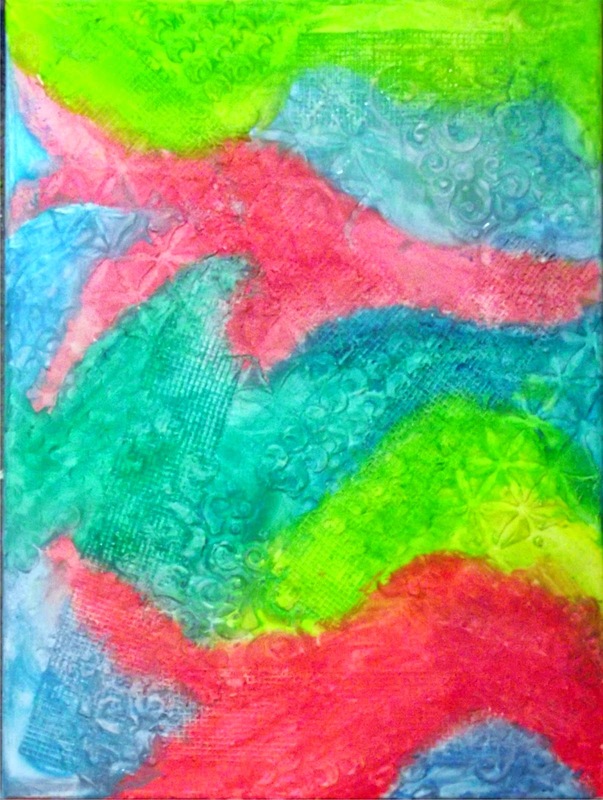 I've been working on a mixed media canvas for the past week or so. I started it in the usual way - with a coat of gesso. 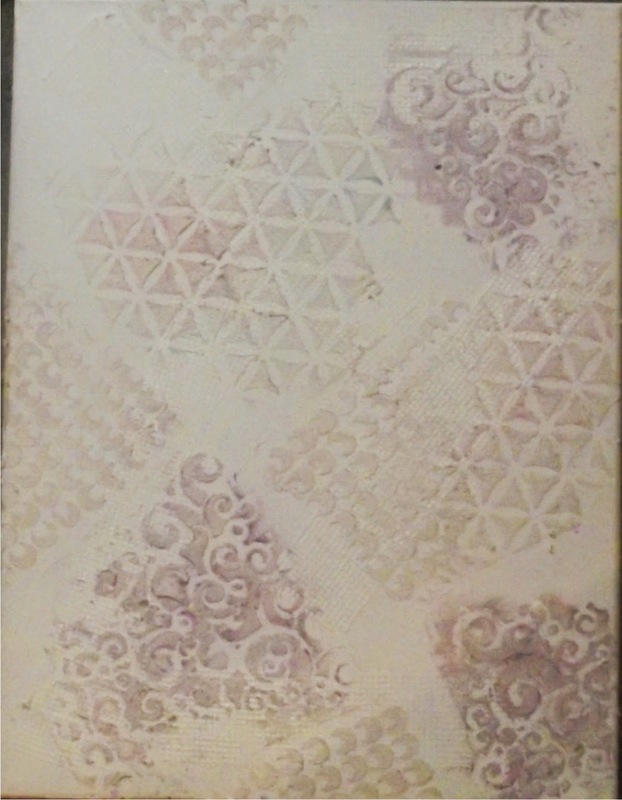 Then I took my favorite texture medium - DryDex spackling and some of my Crafters Workshop templates. On top of this I added strips of dry wall tape. This is the first time I've used that and I'm sure I will be playing with it again soon. Next I took some Gelatos and a wet brush and added color. 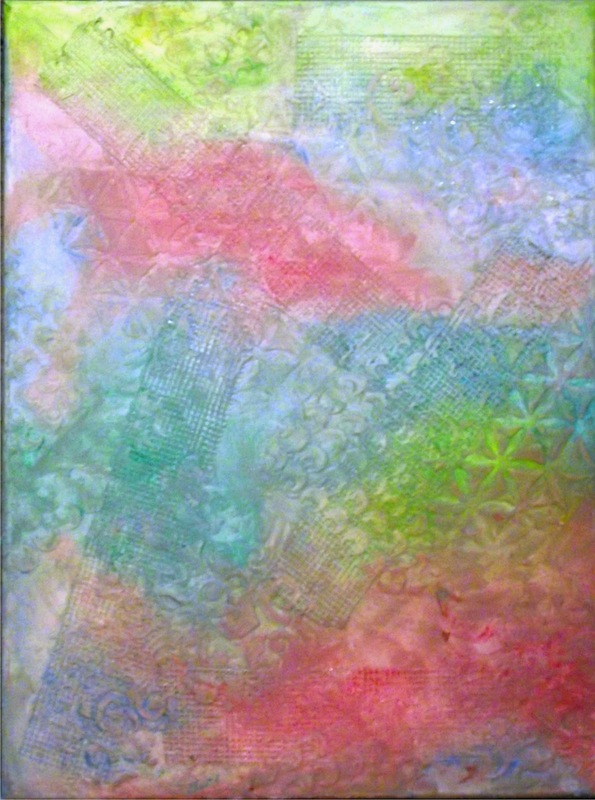 The colors were a bit more vibrant than what I had envisioned so I took some watered down gesso and covered it. There was a quote challenge on Soul Scrappers and I knew exactly how I wanted to use it. And a lady with class." 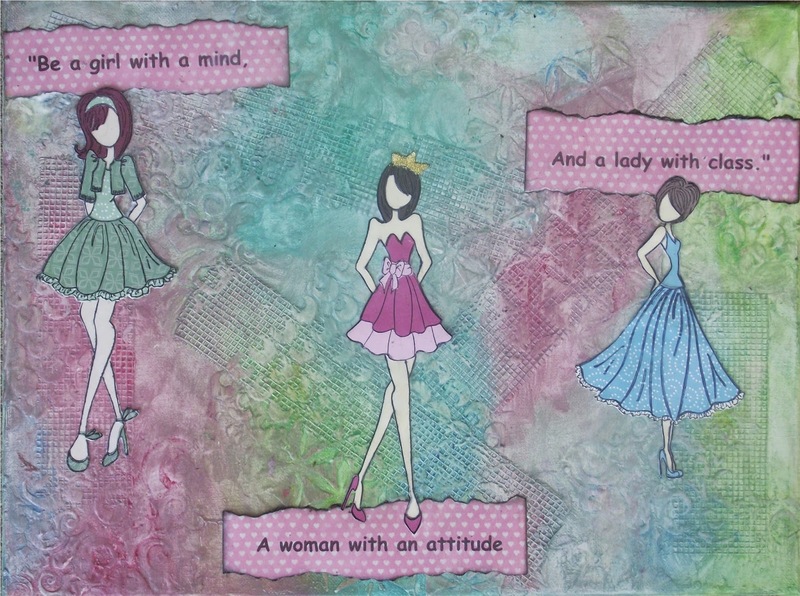 I had recently purchased 3 of the Julie Nutting/Prima Doll stamps and they were just perfect! I took some StazOn Jet Black ink and stamped them on an off white cardstock and then fussy cut them out. I stamped them again on various patterned papers and fussy cut their clothes, shoes and hair. I took a flesh colored Spectrum Noir pen and added a bit of color to the skin. I printed the quote on a peachy-pink patterned paper in separate lines and I cut them out with a ragged edged tearing ruler. I laid the dolls and the quote out and moved them around until I got them where I wanted them and then I glued them down. I covered it all with a coat of ModPodge Matte Medium. I have also entered this in Flying Unicorn June Valley of the Paper Dolls challenge, A2Z Scraplets June challenge for an Off-the-Page Project, a Blog Named Hero challenge #45 It's not in the Cards calling for anything but a card, 4 Crafty Chicks Crazy Egg challenge #196 Anything Goes and Pinque Peacock challenge #6 Anything Goes. Beautiful job Paula!!!! Thank-you for linking up with Pinque Peacock!!! Paula, this is terrific! I am a huge fan of paper piecing and I really adore each of the Prima JN dolls you chose to go with each portion of the quote. Your textured background is fabulous too! Great idea with the Dry Wall Tape! Can't wait to see the finished canvas! Thanks for linking up to Pinque Peacock! I love these stamps, they are on my want list. I love what you have done with them. This is soooo awesome! Lovin' the colors.... thanks for joining us at PINQUE PEACOCK's Challenge & Link Ups!!! Thanks for joining us at the Pinque Peacock challenge blog..
Wow... Thanks for getting it up so quickly and joining in at a2z challenge. Wow! This is amazing. I have never seen drywall tape used like this. Thanks for joing in the Pinque Peacock challenge. Just amazing and I am such a fan of these Julie Nutting stamps!! Good luck on the PP challenge!! This is so pretty and I love the quote! WOW!!!! This is AWESOME!!!!! Thanks for playing along with us at Pinque Peacock's Anything Goes Challenge! Paula, this is amazing! I love how, when confronted with an unexpected outcome, you found a solution! A true crafter! Such great stamps and images! Great project for the Challenge! I love this! Awesome job on the background...and I love the Julie Nutting stamps!